Home Uncategorized Engineered Market Crash: Who ordered the controlled demolition and why now? The single best way to wreck the President’s day is to crash the stock market. The POTUS has frequently pointed to the market’s steady rise as an indicator that America is doing great under his economic and financial stewardship. With this understanding, it’s much easier to grasp the true purpose behind the ongoing controlled demolition of the stock market. The perps know that President Trump greatly appreciates the steady rise of the market since he took office. It validates his many fiscal and economic initiatives in spite of the relentless bad press. The intensifying political explosion due to the FISA Memo release has served as the trigger event for the purposefully controlled demolition of the stock market, which actually began a couple of weeks ago. Starting with last Thursday, each of these seismic market movements occurred simultaneously with the rapid and major developments taking place with FISAgate. For the content of the FISA Memo truly represents the tip of the iceberg of Deep State criminality and corruption. For the uninitiated, the FISA Memo is just the beginning of a long investigative and prosecutorial process that actually began during Obama’s second term when Donald Trump first declared his candidacy in June of 2015. This Deep State-directed endeavor culminated during the 2016 election cycle with the illegal spying on and surveillance of the Trump Campaign. The various Deep State co-conspirators really thought they would get away with the criminal conspiracy as they expected Hillary to win. When that didn’t happen, they commenced with a new crime spree in order to fabricate evidence with which to impeach, by then, President Trump. So the FISA Memo is merely the first official act by Trump putting Deep State on notice that they have been caught red-handed. In reality, the memo has exposed a massive and monolithic, yet covert and stealthy, conspiracy operating throughout the U.S. Federal Government. The critical point here is that this [ONGOING] plot to overthrow the Trump administration is just a temporary black operation being implemented by the U.S. Intelligence Community; however, the much more dangerous conspiracy is the Very Deep State itself. Its total control over the US government is the most formidable challenge facing the nation today. 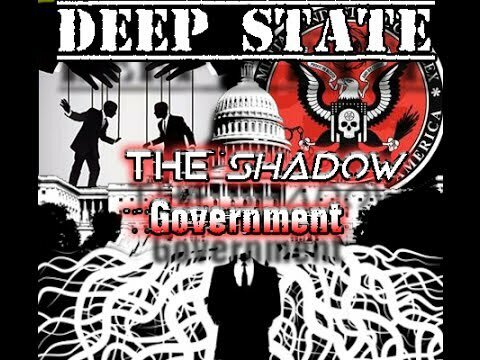 What the overarching Shadow Government did was to put into place, via numerous Obama executive orders, various unlawful and unconstitutional government practices and procedures that gave free rein to Deep State to effectively undermine the American Republic. With each successive criminal disclosure coming out of FISAgate, the pressure is put on the Trump administration to prosecute what really amounts to individual treason and institutional sedition. That the highest echelons of the DOJ, FBI, CIA, DNC, et al. were all deeply involved in the failed insurrection against Trump is a testament to Deep State’s command and control of government personnel. The more the American people learn about the subversive workings of Deep State, the more they realize the United States of America is no longer a constitutional republic. It’s but the U.S. Corporation headed by Trump, who is on contract with the real rulers of the realm—the Shadow Government. These and other radioactive revelations about the government, the corporate sector and civil society are pushing the nation toward an unparalleled housecleaning. The daily news cycle is now moving so fast and furiously that it’s difficult to keep up with the leaks and scandals. As the seditious wrongdoings slowly surface from the swamp, it’s clear that there is a Very Deep State at work that also needs to be exposed. Revelations like these — the FISA memo — do not come out very often, but when they do things are guaranteed to get very interesting. And it’s the stock market that is usually used by Very Deep State to send a message to the White House. Trading in equities is no different than placing bets in a gambling casino. The New York Stock Exchange represents the betting parlor in the world, along with all the other major exchanges. This is where the richest people and wealthiest institutions on the planet gamble with their fortunes (or the money of others as is the case of mega-fund managers) with the explicit intention to manipulate the market in their favor. Now here we are in 2018 and it’s clear that the very same players are at work moving the markets at will in order to produce specific political and fiscal outcomes. As if on cue, Goldman Sachs, JPMorgan and the other major investment banks are making their scripted pronouncements which provide plausibility for the precipitous market declines. Of course, the Federal Reserve joins the chorus just as FED Chair Janet Yellen quite conveniently, and permanently, left her post this past weekend. Not only did Yellen vacate the FED premises, she did so with a parting gift to President Trump. Many believe that her poignant proclamations at the very end of her term were meant to hurt the Trump administration. See: “Disappointed” Yellen Warns Investors “Be Careful”, But “Don’t Label It A Bubble How’s that for sending a veiled message to the countless FED-watching brokers throughout the global investment realm? There’s no question that the 3 interest rate hikes implemented by the FED during 2017 were designed to make matters much more difficult for Trump’s economic plans. Because the fake recovery under Obama never took place, financial resources are still desperately needed in every quadrant of the U.S. economy to simply maintain, much less spur real growth. This is where the FED can easily sabotage Trump should he not follow the dictates of the Shadow Government. produce virtually any monetary/financial/economic outcome it so desires. it has done since its establishment). Precisely what the FED will do in 2018 remains to be seen, although they have already signaled 3 more rates hikes. Therefore, all bets are indicating that the FED will do what it always does to make or break a U.S. president, and especially whatever is required to keep Trump in check. Because FISAgate really upsets the apple cart like no other scandal in U.S. history, it’s quite likely the FED will be used to intervene just like they did this past Friday (2/2) and Monday(2/5), as well as yesterday’s “bloodbath” on Thursday (2/8). The great thing about this latest controlled demolition is that the whole world is watching the collapse (read: transparent market manipulation) in real-time. It’s now evident to many that markets don’t just plunge for no reason; rather, they are ALWAYS stealthily manipulated downward to deliberately shock and awe. Those 2 consecutive days of precipitous market declines (followed by a third) are perfect examples of how easy it is for the “Financial Masters of the Universe” to send the markets into a steep descent, just as they have artificially increased their respective values when that strategy serves their agenda. Adam Smith’s “Invisible Hand” actually refers to those carefully hidden forces that systematically manipulate the market at will. As a matter of historical fact, this Wizard of Oz approach to market manipulation was built into the earliest market exchanges. The exchange overseers would not have it any other way as the whole game was set up so that the house always wins, even when they appear to lose. Adam Smith, incidentally, was selected by TPTB back in the 1800s to promote the bogus “Invisible Hand” theory as a way of deflecting attention from the British Deep State that effectively controlled international banking and global commerce at that time (as it does today from the Financial District in the City of London). This particular revelation is significant in that true financial freedom for the nation and citizen alike can only take place when the curtain is pulled back on the “wizard” for all to see. Because as long as the very rich are allowed to methodically transfer wealth from the middle class to the 1% through covert market machinations, financial collapses and economic depressions will continue to plague the entire planetary civilization. As for the Very Deep State, it is those purposefully-placed individuals who circulate from influential think tanks to U.S. government officialdom to high-level Corporate America while serving powerful secret societies who direct Deep State. These power-brokers are strategically positioned within the world of high finance and international commerce, as well as throughout the top-tier of government service, always answering to their true masters within the powerful NGO brain trusts like the Council on Foreign Relations. Those who operate from their ivory towers at the World Bank, International Monetary Fund, Bank of International Settlements and Central Banks (especially of the G20 nations) have correspondingly huge financial and economic footprints. Because the entire world is effectively controlled by a clandestine Global Economic & Financial System, this is how the Very Deep State exerts maximum command and control over governments large and small. In other words, nothing big ever happens on Wall Street or in London’s Square Mile unless it’s pre-ordained by a directive issued by the Very Deep State…who in turn receives it orders from the super-secret Shadow Government. Whenever Trump moves toward exposing Deep State, which he does daily with his Twitter account, the top banksters (aka agents of Very Deep State) get real nervous. The current global monetary paradigm is, after all, still based on the Almighty Dollar (especially the petrodollar). This is why the Shadow Government has always sought to maintain absolute control over the finances and economy of the United States. Hence, the last thing TPTB want is for Trump to take his wrecking ball to Deep State, as it constitutes their primary control matrix. Yes, those who installed The Donald as POTUS knew that they would have to ‘let Trump be Trump’. However, there are limits to the degree of demolition of Deep State that will be permitted. Therefore, the daily value of stock market has become a HUGE carrot and/or stick by which the international banking cartel seeks to control the President. Of all the market metrics available, the Shadow Government knows that there is no other that can be used so successfully to keep Trump on a short lease. 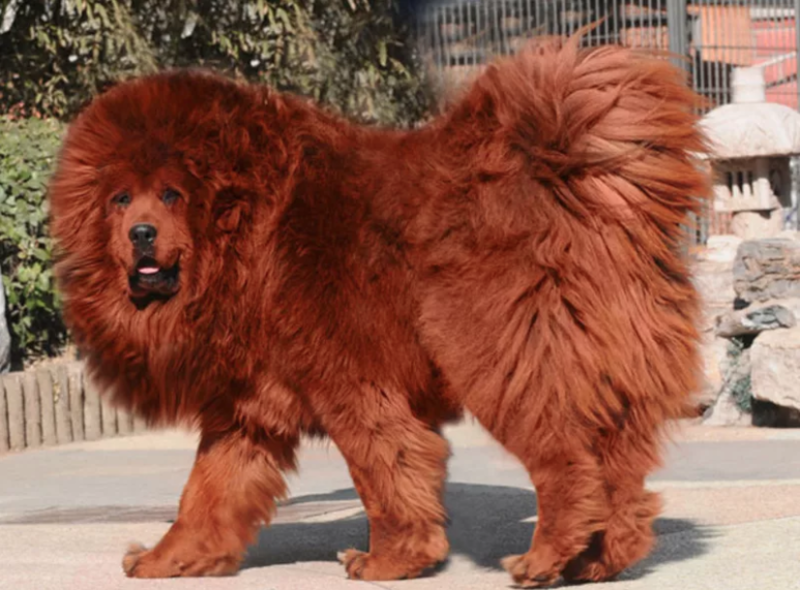 Of course, keeping Trump on any leash is like putting a collar on a Tibetan Mastiff! Which means that Trump will continue to knock down Deep State until he simply gets too close to the Very Deep State. What happens then is anyone’s guess, but it’s a sure thing the markets will react with a vengeance. Previous articleEngineered Train Crash Could Have Wiped Out the Republican Majority in Congress!